Advertising creatives facing the tyranny of the blank wall. It’s often been said that the writing’s on the wall for the advertising industry. Could that possibly be because of exactly the opposite: the writing isn’t on the wall? As I was shown around the open plan creative department it dawned on me that the serried rows of desks, each work station supplied with a computer screen and keyboard, didn’t so much resemble an advertising agency, as a call centre – though not to the degree that Ogilvy’s nearby offices in Sea Containers House do, where landline phone calls must be taken using headsets. Obviously AMVBBDO’s offices, being open plan, have few walls. But workers are forbidden to decorate the small number of walls that do exist with anything – pictures, posters, even ads. Which, for a dyed in the wool creative person such as myself, seems rather perverse. Let me explain. I was taught my craft by people like Terry Lovelock, the man who wrote ‘Heineken refreshes the parts that other beers cannot reach’. Terry’s mantra, often sung rather than spoken, was ‘paper the walls with concepts’. In fact, just about every office in the Collett, Dickenson and Pearce creative department, where Terry worked, had a wall lined with brown cork. This encouraged teams to pin up their ads as they did them, tacitly inviting comment from visitors and passers by alike. Often these comments were helpful, suggesting better phrasing or ways of using fewer words, or more imaginative visuals. Thus, just by the act of using a pair of pushpins, CDP ads would be improved, sometimes beyond all recognition. However, what may be the best example of this practice in action concerns not CDP, but Doyle, Dane, Bernbach in America. Helmut Krone and Julian Koenig had written an ad for Volkswagen talking about the rigorous testing programme that every VW went through before it was released for sale. The headline was ‘This Volkswagen missed the boat’. A copywriter called Rita Seldon came into the room and said why don’t you just say ‘Lemon’? Eventually, Helmut and Julian did, and relegated the former headline to the first line of the copy. This ad went on to become possibly the most famous print ad ever created, even featuring in an early episode of ‘Mad Men’. 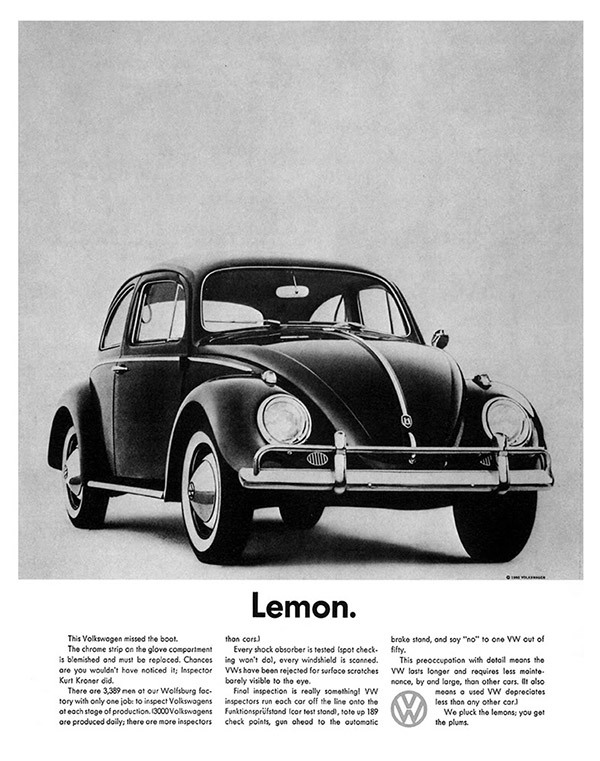 The famous ‘Lemon’ ad for VW*. 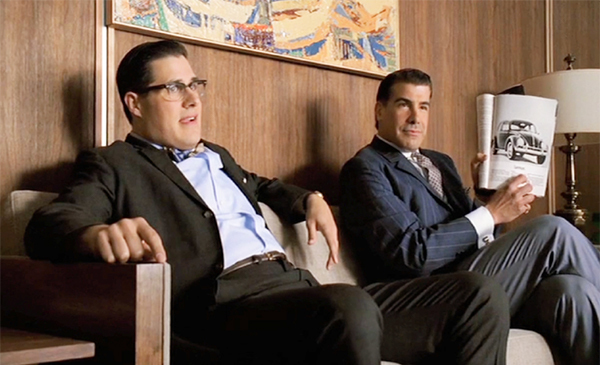 It was featured in one of the early episodes of ‘Mad Men’. Another example: back in the eighties, I wrote an end line for Colman’s Mustard to go on a series of commercials where a butler was called upon to commit suicide for the error of forgetting to bring along the Colman’s to events such as picnics. The line I wrote: ‘Serve Colman’s Mustard, it’s the only decent thing to do’ was lettered by my partner, Paul Smith, in Magic Marker and pinned to our wall. A very junior Paul Weinberger wandered by. ‘That line would be better if it said ‘Do the decent thing. Serve Colman’s Mustard’’. Nobody likes a smart arse, Paul. But he was right. Quickly, we changed the line to Weinberger’s improved version. One of the commercials that Paul Smith and I wrote, with Weinberger’s better end line. Produced by Anatomised’s Mark Andrews; directed by Paul Weiland. Which brings me back to AMVBBDO’s new offices in Southwark. I know that everything’s done on a computer these days and Magic Markers, if they still exist, only do so in a museum somewhere. I mean, I am writing this article using my MacBook Air, whereas once upon a time, I would have used pen and paper. But while these analogue instruments of creation may be things of the past, surely the comments of your peers cannot be? Surely, suggestions that may improve a piece of work are still welcome, and will continue to be so for years to come? Of course, you can share your ideas digitally, and invite comment by that method. You could print them out. 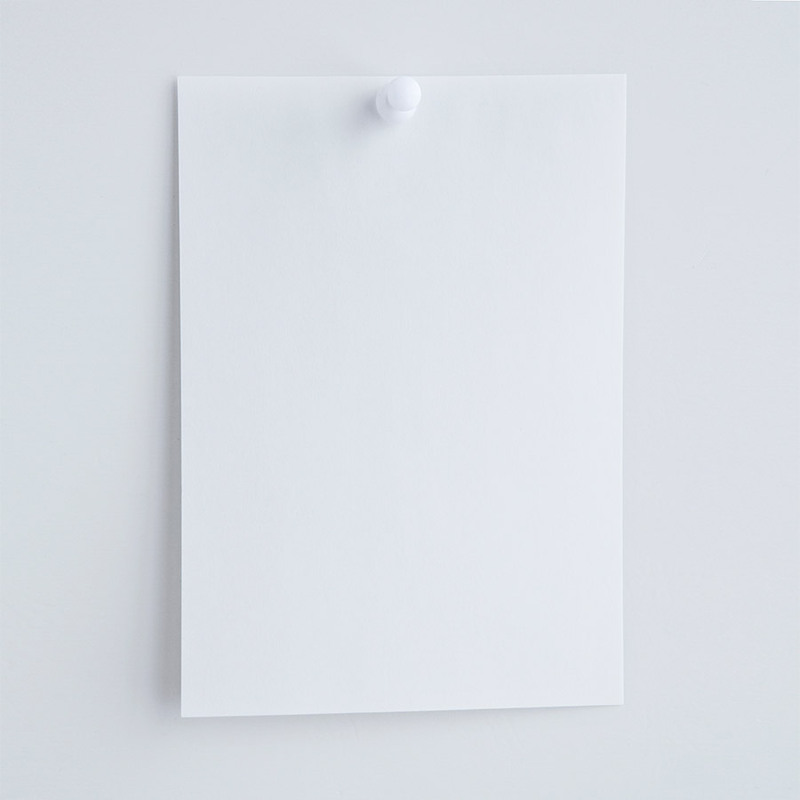 But if you can’t pin what you print on the wall there’s no way of knowing that the one person who will transform your work from worthy to wonderful, the casual passer-by, the modern day equivalent of Rita Seldon or Paul Weinberger, will see it. More’s the pity. Anyone who sets up to conceive creative work is forced to face the tyranny of the blank sheet of paper. (Or probably now, the blank screen of a computer.) Why should they be condemned to face the tyranny of the blank piece of wall as well? It can’t make the job any easier. And it may prevent their work migrating from the pages of the Internet or newspaper, or from TV and cinema screens, to the pages of D&AD. It’s often been said that the writing’s on the wall for the advertising industry. Could that possibly be because of exactly the opposite: the writing isn’t on the wall?